The objective of this work is to generate new fundamental science for cyber-physical systems (CPSs) that enables more accurate and faster trajectory synthesis for controllers with nonlinear plants, or nonlinear constraints that encode obstacles. The approach is to utilize hybrid control to switch between models whose accuracy is normalized by their computational burden. This synergistic approach is why we deem our proposed work will enable Computationally Aware Cyber-Physical Systems. The results from this project will advance the knowledge on modeling, analysis, and design of CPSs that utilize predictive methods for trajectory synthesis under constraints. Current algorithm designs seldom include the computational limitations of the hardware/software on which they are implemented as explicit constraints; thus, a challenge is to correctly approximate (or account for) how these constraints can be overcome for real-time systems. The results will include methods for the design of algorithms that adapt to the computational limitations of autonomous and semi-autonomous systems that must satisfy stringent timing and safety requirements. For this purpose, we propose tools capable of accounting for computational capabilities in real-time, and hybrid feedback algorithms that include prediction schemes exploiting computational capabilities to arrive at more accurate predictions, within the time constraints. The problem space will draw from models of Unmanned Air Systems (UAS) in the National Air Space (NAS); algorithms will be modeled in terms of hybrid dynamical systems, to guarantee dynamical properties of interest. The goal of this project is to develop and implement path planning algorithms with safety and optimality guarantees for highway driving scenarios. The algorithms make driving decisions to avoid structural and dynamical obstacles while accomplishing autonomous tasks utilizing heuristics-based search and model-predictive control methodologies. 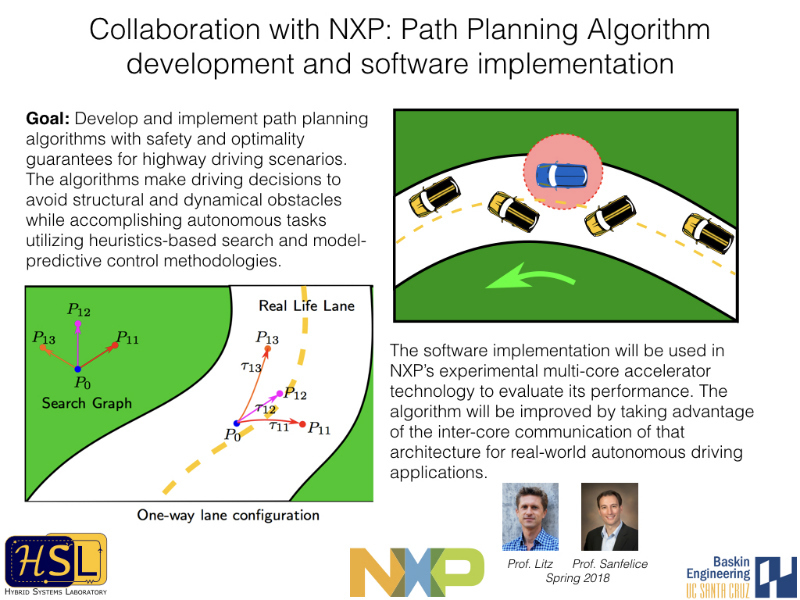 The software implementation will be used in NXP's experimental multi-core accelerator technology to evaluate its performance. The algorithm will be improved by taking advantage of the inter-core communication of that architecture for real-world autonomous driving applications. The Slugbotics research team is completing an ROV to compete in the annual MATE (Marine Advanced Technology Education) competition at the Explorer level. The objectives and goals of this competition change yearly, requiring a new ROV to be built, providing a chance for constant innovation and improvement. The 2018 competition is held in the Seattle area and is themed around the work that professional ROVs perform in the local area, such as the recovery of airplane wreckage from the bottom of Lake Washington, installing tidal turbine equipment, and gathering seismic earthquake activity using an ocean bottom sensor. 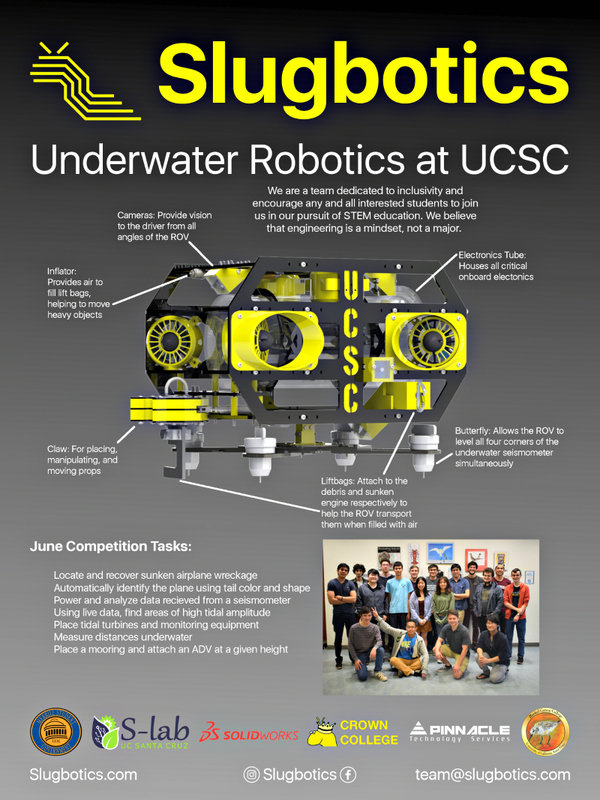 Slugbotics is a student organization at UC Santa Cruz focused on introducing students to underwater robotics. They design, program, fabricate, and test ROVs (Remote Operated Vehicles) that are designed to complete complex tasks in a marine environment. In addition to the MATE competition, Slugbotics also serves as a community education and outreach group. They assist with the organization and running of the Monterey/Watsonville MATE regional, showing younger teams what a college level ROV looks like and giving them possibilities for their future builds. 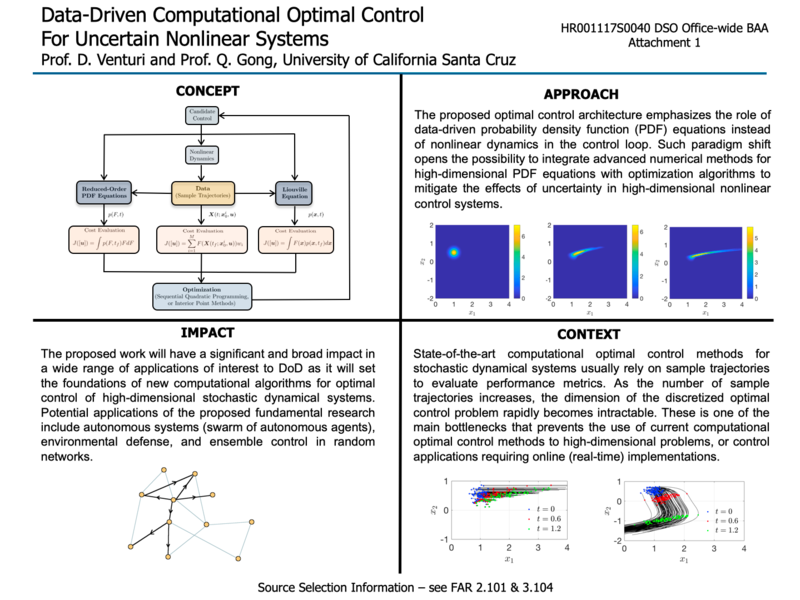 In this proposal, we address a very important research area in computational mathematics, namely the design and synthesis of optimal control strategies for high-dimensional stochastic dynamical systems. Such systems may be classical nonlinear systems evolving from random initial states, or systems driven by random parameters or processes. The first objective is to provide a validated new computational capability for optimal control of stochastic systems which will be achieved at orders of magnitude more efficiently than current methods based on spectral collocation or random sampling. To accomplish this goal, we will develop a new data-driven optimal control framework based on probability density function (PDF) equations. The new framework is built upon high-order numerical tensor methods, with no specific requirements on the structure of the continuous dynamics, cost function, or the type of uncertainties. The 18 months research plan is multidisciplinary and it involves multiple fields such as optimal control, large-scale optimization, and uncertainty quantification. It consists of theoretical and numerical developments, as well as a general software framework that will implement the proposed algorithms. 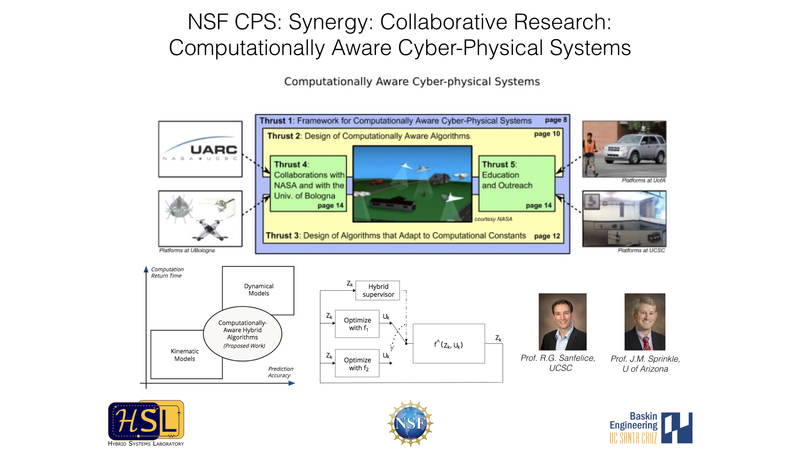 The proposed research work will have a significant and broad impact in a wide range of engineering applications such as autonomous systems, environmental defense, and ensemble control of random networks.